Want to join Haven Body Arts in making a difference? We are raising money to benefit Heroes Horses and Hounds Inc, & there are 2 ways to help us reach our goal. Get one of these Paw Print Tattoos during April for only $60ea. A portion of ea. $60 Paw print will be donated to this Non Profit, or you can just donate here, to help pay for this Rescue Dog BALOO to be trained as a Service Dog to be gifted to a Local Autistic Child, from our amazing friends at heroes horses and hounds! and any donation will help make an impact. 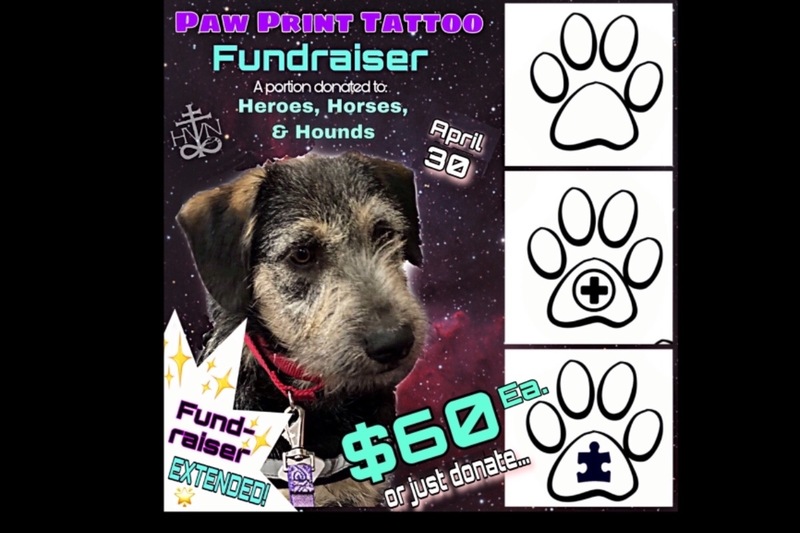 Thanks in advance for your contribution donating to Baloo’s training especially if not getting a tattoo! Watch News 40 with Brittany Murphy on April 17th as Penelope from Haven BA & Colleen of Heroes HH meet the lucky families who may be receiving Baloo as their newest family member! 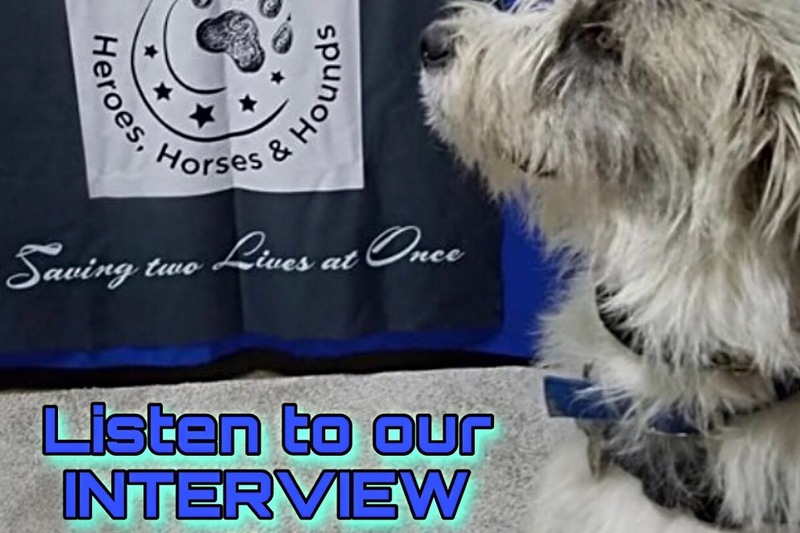 Here is a wonderful & informative interview with the women of Heroes Horses & Hounds on WHMP Radio discussing what they are about & how they decided that Baloo was right rescue dog to train as a service animal & why they feel it’s important to provide this service for local Autistic Children Tune in this Wednesday to News 40 to see an interview with these women of HHH again, as well as Penelope from Haven Body Arts when they meet the families who may be receiving their service dog Baloo! It’s gonna be a tear jerker since the possibility of having a service dog gifted to them for free is going to be life changing! Please help us to help them by donating here or by getting a paw print tattoo of your very own!